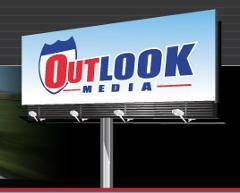 OUTLOOK MEDIA can help you choose the billboard that works best for your advertising needs. Call us at 877-892-9211 and one of our market managers will be happy to assist you. Independently owned and operated, we offer our advertisers prime locations, creative billboard design, affordable rates and a dedicated staff to service your needs.